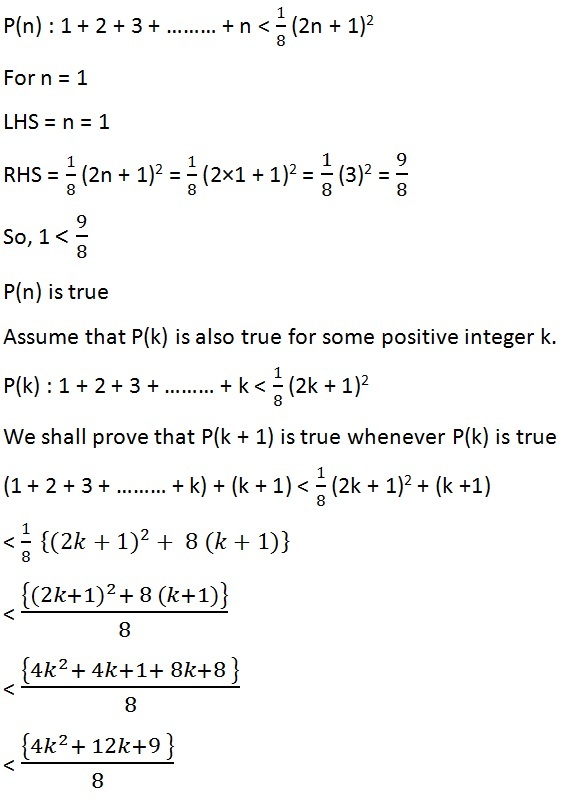 Thus P(k + 1) is true, whenever P (k) is true. Hence, from the principle of mathematical induction, the statement P(n) is true for all natural numbers n.
Q19. n (n + 1) (n + 5) is a multiple of 3. P(n) : n (n + 1) (n + 5) is a multiple of 3. 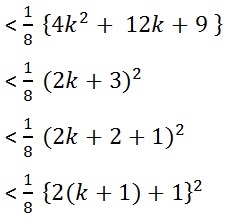 Assume that P(k) is also true for some positive integer k.
Hence, from the principle of mathematical induction, the statement P(n) is true for all natural numbers n ∈ N.
Q20. 102n - 1 + 1 is divisible by 11. P(n) : 102n - 1 + 1 is divisible by 11. 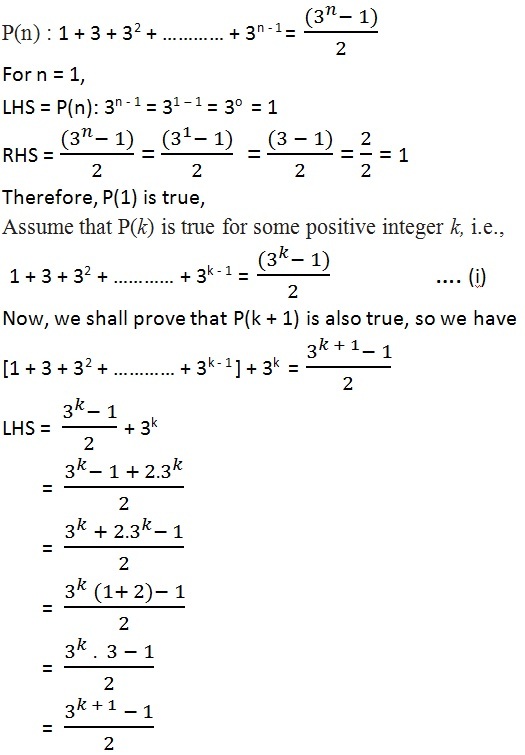 Thus P(k + 1) is true, whenever P(k) is true. Q23. 41n – 14n is a multiple of 27. 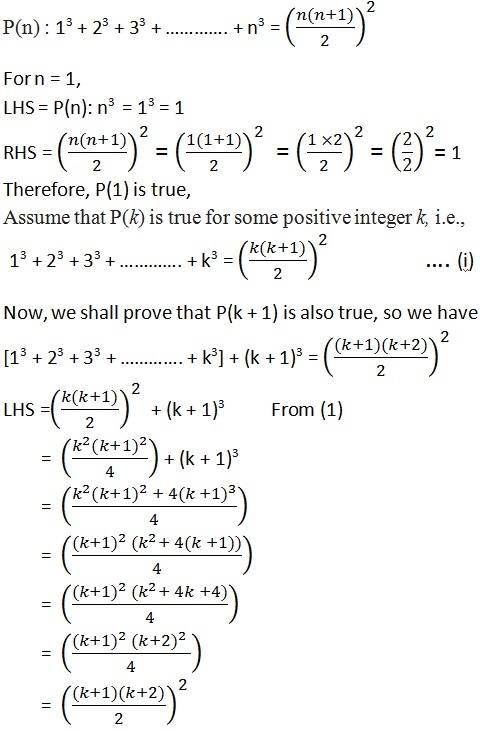 Therefore, p(1) is true so Assume that p(k) is also true for some integer k.